Tuesday November 3rd, Bergen Arts & Science Charter High celebrated Hispanic Heritage with a musical cultural festival. It is an event that gives students the opportunity to enjoy learning the value of diversity, culture and history of the Hispanic Heritage. 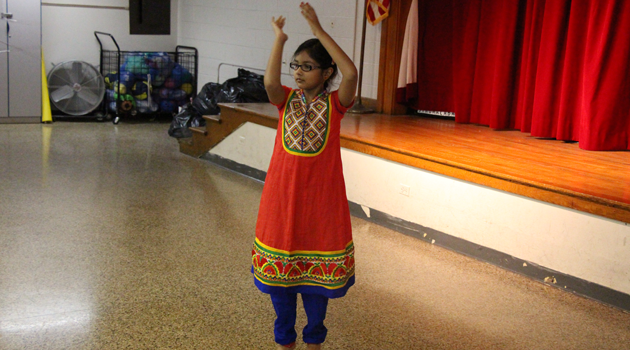 The festival allowed students to understand Hispanic culture through folklore dances, singing and musical performances. It commemorated the contributions of Hispanic Americans, such as famous singer Celia Cruz whose songs inspired the Hispanic American community. 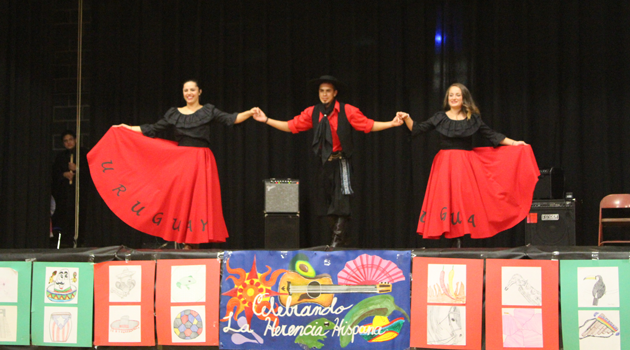 Special guests from Uruguay, Colombia, and Ecuador performed and art representing the Hispanic culture were displayed. BASCS is proud to celebrate diversity and culture. Special thanks to Ms. Quiroz, Mrs. Rodriguez, and Mr. Hyseni bringing all students together with their wonderful performances in dancing, singing, playing music instruments, and drawing different painting with the Hispanic themes.